The near constant rain is driving everyone crazy these days. I was planning to ride yesterday morning, got up at 5 am, dressed and was out of the door when the rain started. Talk about a bummer! I spent most of the day yesterday planning today's ride, and decided to get ahead of the rain. I wanted to go up 2 hills today with some flat riding between them, to cover the planned uphill of 15 kilometers per week. So I started up Vodno, maintaining a good cadence and trying not to use my largest rear gear. I am pushing myself to adopt the horizontal 'mud scraping' technique when pedalling, since it really helps to maintain cadence without much extra effort. Midway i caught up with another rider eager to ride in the morning and we went on uphill together for some 5 kilometers. At the MakTel Hotel - after a total of 10 kilometers uphill I bid the other rider goodbye, and turned back - I needed to save my strength for the second hill at Kuchkovo. When riding a road bike on Macedonian roads, I always prefer uphill to downhill. The vibration on my hands and back on the downhill is unpleasant to say the least, but there is no other way to get down. So on I went, crouching but out of the saddle, exchanging greetings with the hikers and riders that were just coming up. 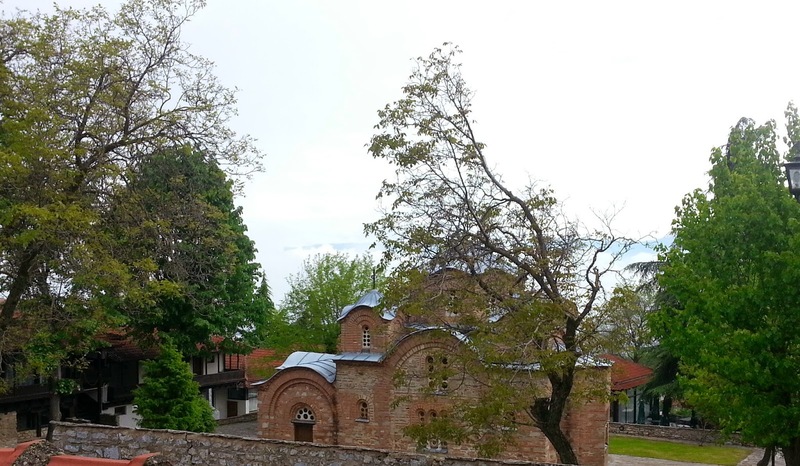 I rested and ate half of my granola bar at the parking of St. Panteleimon monastery before finishing the descent into the city and onto the boring flat part of the ride. The flat part of the ride was as uneventful as expected, and I used it to focus on my breathing and to relax my muscles for the upcoming ascent. This was my first time riding uphill towards Kuchkovo, and I chose this route after I read about it on Sergej Gegaj's blog. I studied the route on Strava, and I knew that the incline should resemble the climb on Vodno, but that was it. When riding an unfamiliar road I always try to conserve as much of my strength as possible for later in the ride. The incline started deceptively easy, i was spinning in high gear through Volkovo and thought 'this will be a piece of cake'. But at the end of Volkovo, things changed a lot - the incline grade raised, and I needed to downshift to my granny ring. 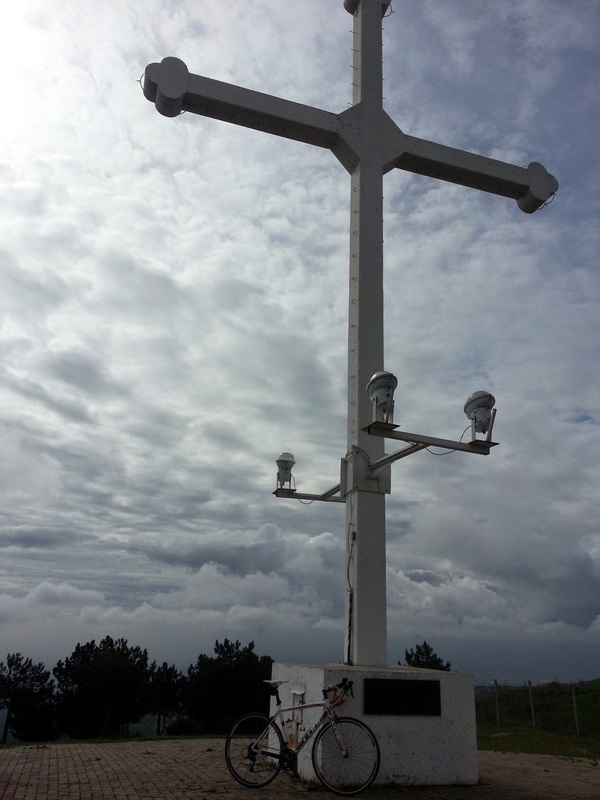 Progress became slow, and I still couldn't see my destination - a large metal cross at a top of a hill above Kuchkovo. I pressed on for a while, keeping in the lowest gear even when I didn't need to. When the destination finally appeared, it was an 'Oh No' moment - the cross seemed so far up and away. 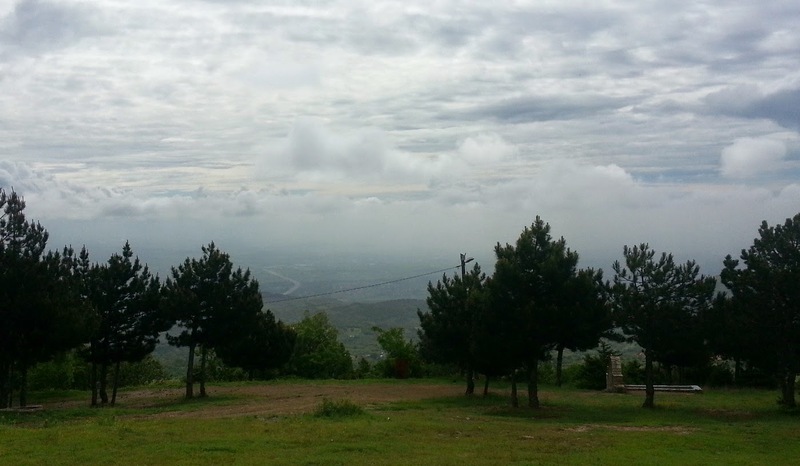 I decided to ignore the final destination and to ride to the corner, then to the next etc... Luckily, the road is surrounded by beautiful nature and since I was already a good deal up the hill, the view was great. So I had something to take my mind off the climbing road. The final 500 meters of the road to the cross above Kuchkovo aren't paved, but I couldn't give up so close to my planned destination. A true test for my new no-flat tubes, and they passed it quite well. After I rested, again it was time for a seat and handlebar vibrating descent. And this time, with an added bonus - apparently the dogs in Kuchkovo have issues with fast moving bicycles. While the same dogs barely acknowledged my passing uphill, most of them decided that it is great fun to chase me to the end of the village on the downhill. So the descent turned into 'how fast can you spin in the biggest gear' with a pack of dogs trying to match my speed. The toughest part of the ride is getting out of the door when the weather threatens. Congrats for sticking to your plan.